My first thought is usually a piece of personal mussar: he became known as HaTzadik. Will I obtain such a level? My second thought, especially this time of year, is very different. Here’s a man who is mentioned in the Mishna and the Gemara. He was an important figure in Jewish life. He never celebrated Chanukah, because he lived before those events. What is [the reason of] Hanukkah? For our Rabbis taught: On the twenty-fifth of Kislev [commence] the days of Hanukkah, which are eight on which a lamentation for the dead and fasting are forbidden. For when the Greeks entered the Temple, they defiled all the oils therein, and when the Hasmonean dynasty prevailed against them and defeated them, they made search and found only one cruse of oil which lay with the seal of the High Priest, but which contained sufficient for one day’s lighting only; yet a miracle was wrought therein and they lit [the lamp] therewith for eight days. The following year these [days] were appointed a Festival with [the recital of] Hallel and thanksgiving. 1 or 7 or 8? Why is Chanukah celebrated for eight days? This is one of the famous questions about the holiday. Many different answers are given. The question is based on the idea that the flask of oil would have burned for one day. That is “natural.” Therefore, the “miracle” is the fact that the oil lasted for seven additional days. Based on this analysis, Chanukah should only be seven days long. The Pri Chadash explains that the we also celebrate the military victory by the Hasmonean’s. If we only celebrated the victory, then Chanukah would be one day. If we only celebrated the miracle of the oil, then Chanukah would be seven days long. We celebrate both and therefore Chanukah is eight days. 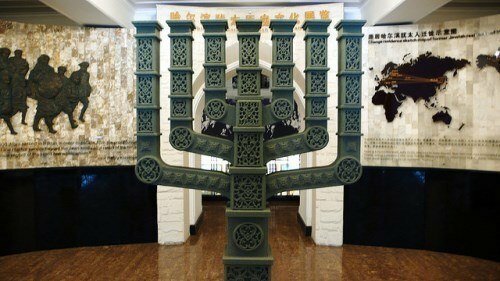 Why was it important for the Hasmonean’s to use undefiled oil for lighting the menorah? There is a principle of “tuma hutra betzibbur” (impure objects are permitted for communal purposes). If only defiled oil was available, then the Hasmoneans could have used that oil. In other words, there was no need for God to perform a miracle and have the flask of pure oil last for eight days. To answer this question, R. Michael Rosensweig notes that the Gemara discusses various levels of observance of the mitzva of candle lighting. Unlike other mitzvot, in which higher levels are not expected of everyone, it appears from the Gemara that the optimal level of observance of candle lighting, “mehadrin min hamehadrin,” is expected from everyone; indeed, the universally accepted practice is to adhere to that standard. While the miracle of the flask of oil may, indeed, have been superfluous, relying on leniencies would have undermined the entire message of the revolt. For the same reason, the observance of Hanukka is unique in its focus upon “hiddur … Thus, R. Rosensweig suggests, the fundamental reason for the revolt, and more importantly, the Jewish people’s response to the miraculous events, were worthy of a permanent celebration. I hope this brief excerpt from Hilkhot Mo’adim helps make your Chanukah celebration a little bit brighter. 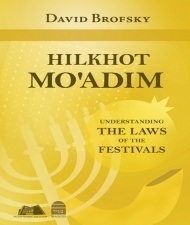 Disclosure: I was given a review copy of Hilkhot Mo’adim – Understanding the Laws of the Festivals by the publisher, Maggid Books.